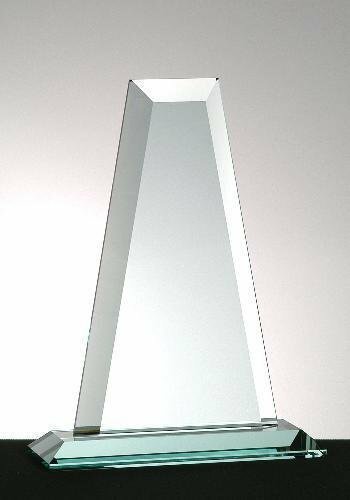 Beautiful jade glass award designs with a lot of thought placed into each bevel and cut of these finely crafted glass awards, you will not be disappointed in its simple elegance. 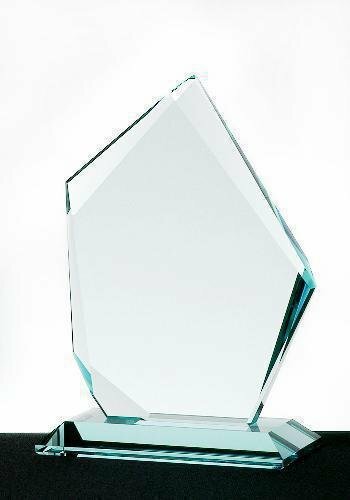 Jade glass awards have a green tint to the glass which provides for the elegant nature. 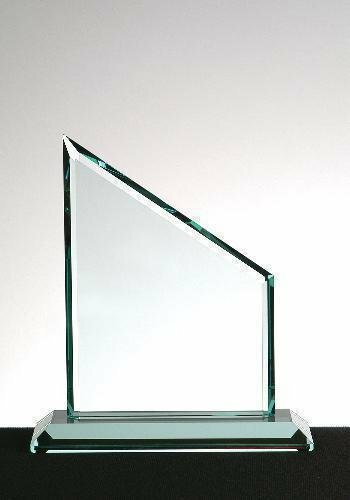 Magnificent artistic designs in each jade glass award brings to you a large selection of choices. Sierra Jade glass Award. Double mitered- 3/4" thick. Available in three sizes. Elegant mitered base. Summit Jade Glass Award. 1/2" or 3/4" Thick. Available in three sizes. Elegant mitered base. Titan Jade Glass Award. This item is available in two sizes. 3/4" thick. Elegant mitered base. 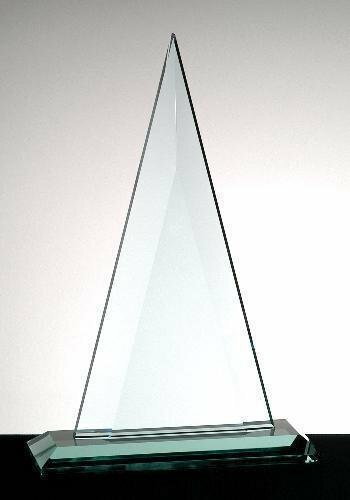 Tower Jade Glass Award. This item is 3/4" thick. Available in three sizes. Elegant mitered base.